The expedition: Rowing solo 18,000 miles around the world in the most hostile marine environment. 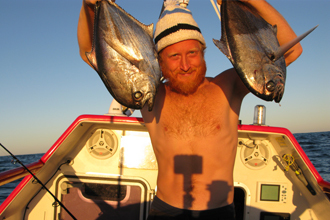 This amazing documentary from Pendragon Production’s George Olver, is the story of adventurer Olly Hicks, who this year became the first man to row solo from Tasmania to New Zealand. 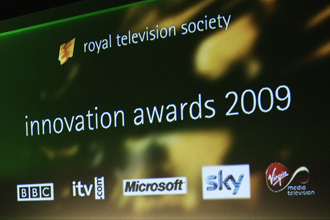 The RTS Innovation Awards aim to recognise outstanding achievement in the development of new technologies in distribution, production and manipulation with Axis Films nominated for an award for their 3D work. The award categories are designed to highlight the growing interdependence of technology and content, reaching out to new users and new ways of communicating. Since The British Society of Cinematographer's formation in 1949, its prime objective has been to promote and encourage the highest standards in the art and craft of cinematography and On Sight were proud to become a Patron member this month. Their membership, which is by invitation only, comprises of some of the most talented Directors of Photography and Camera Operators in the United Kingdom. It also encompasses many distinguished friends and patrons from the film and television industry. The exceptional television coverage of the 2009 Isle of Man TT has won a prestigious award. 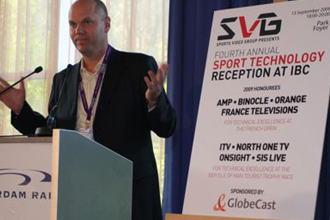 North One Television and On Sight were presented yesterday with a Sports Video Group award for their work on the 2009 TT. Shooting Bear Grylls’ extreme survival series Man vs.Wild is no picnic and only the toughest cameras and crew need apply. Bear Grylls’ Man vs. Wild could almost be a TV show designed to prove a camera’s ability to withstand extreme environments.